On 23 October EU leaders will meet to agree the foundations of an EU climate and energy policy for 2030. They need to settle on four targets: greenhouse gas emission reductions, renewables, energy efficiency, and – the most recent addition – interconnections. But even more: they will have to convince markets and policymakers across the world that the EU has a credible climate and energy strategy to offer. Sonja van Renssen explains the ins and outs of the talks. 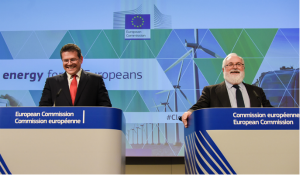 The 2030 climate and energy package which the European Commission proposed back in January was never supposed to be a repeat of the 2020 package, which set a 20% greenhouse gas emission reduction target, a 20% renewables target and a 20% energy efficiency target for Europe for 2020. This was agreed back in 2008, before the European recession, US shale gas revolution, Fukushima disaster, and current Ukraine crisis. In the aftermath of these events, climate change took a back seat first to competitiveness, then to energy security. The renewables and efficiency targets also came under attack for interfering with the carbon market, supposed to be the main driver of emission reductions. So gradually a new narrative emerged from the European Commission: Europe needs a sustainable energy system to drive competitiveness and security of supply. This narrative is what EU heads of state will find themselves discussing on Thursday. Not just a climate target, or a 30-30-30 package, or indeed a climate/renewables/efficiency-only approach – but a climate-energy vision for Europe in which all aspects will be integrated. Still, this vision will be at least be partly translated into concrete targets. Currently on the table, based on the Commission’s proposals, is a 40% greenhouse gas emission reduction target, a 27% renewables target, a 30% energy efficiency target and a 15% interconnection target for 2030. Plus the funding arrangements that will make this basket of targets palatable to all 28 EU member states (Croatia is the EU’s newest member since July 2013). EU officials have said for months now that a deal is likely but not set in stone. That remains the rhetoric today, with just a few days to go. There were reports at the end of last week that Poland’s Deputy Prime Minister and Economy Minister Janusz Piechociński told Polish Radio his country would veto the package as it stood. “For the Polish economy minister and the majority of EU economy ministers the 40% option, which destroys half of Europe’s industry, is unacceptable.” Portugal has also threatened a veto but over a different issue: interconnections. Portugal will not accept a package that does not include a 15% interconnection target. The country had almost 60% renewables in its electricity mix this year, but the Iberian Peninsula is virtually cut off from the rest of Europe. “It’s not possible to have a European energy policy with energy islands,” Portugal’s energy and environment minister Jorge Moreira da Silva told a European Forum for Renewable Energy Sources (EUFORES) inter-parliamentary meeting in Lisbon in mid-October. “We need four, not three targets for 2030.”. Despite the hardening rhetoric there are few who believe that the EU will fail to agree the foundations of a 2030 climate and energy package on 23-24 October. For one, the new President of the European Council in Brussels, former Polish Prime Minister Donald Tusk would probably prefer not have to take on these negotiations when his mandate starts in December. He could end up having to dictate a compromise to his own country. At the same time, climate campaigners see nothing to be gained by postponing – it won’t get any easier or cheaper – but much to be lost. Businesses will face prolonged uncertainty and Europe will miss out on the chance to set the bar in the international climate talks. UN climate negotiators are meeting in Bonn this week for a final round of negotiations before this year’s annual UN climate conference in Lima, Peru, in December. Following that, countries are due to submit post-2020 emission reduction proposals by the first quarter of 2015. By coming out with its proposal now, the EU has a chance to set the standard, say campaigners. 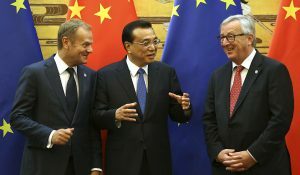 Some also point out that the 2030 package might not be revisited by EU leaders until March 2015, if they fail to make a decision now, since a planned December summit is expected to be devoted to the European economy and a new €300 billion public-private investment package that incoming European Commission President Jean-Claude Juncker has announced. He has yet to clarify where this money will come from and what it might be spent on. Others however, Poland among them, have long advocated a “wait-and-see” position with regard to the global climate talks. They worry that Europe is too upfront and transparent in its negotiating strategy and will end up losing out by playing its cards too early. Even some climate action advocates privately agree that Europe should be tougher in the talks. The latest set of draft conclusions leaked ahead of the summit date to Monday 13 October – although they have changed little in substance since, Energy Post understands. They – propose a 40% “domestic” reduction, split into a 43% reduction for industries covered by the EU Emission Trading Scheme (EU ETS) and a 30% reduction for everything outside it, i.e. buildings, transport and agriculture. The overall 40% reduction is relative to 1990; the other two are relative to 2005. There is no language on what to do about “Paris”, except to “revert” to the target issue after the event. What the 40% means for companies covered by the EU ETS, is a speeding up of the rate at which their emissions cap tightens from 1.74% to 2.2% per year. This acceleration would kick in from 2021. To placate worried industries – and their country hosts – the draft conclusions promise that some carbon credits will continue to be distributed for free to prevent vulnerable sectors from carbon leakage, or from leaving Europe for carbon-friendlier regions. “Future allocations should ensure better alignment with changing production levels,” the draft adds. 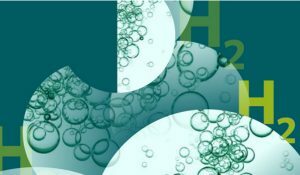 Industries moreover, will benefit from a revamped “NER300” facility – a carbon market-fed fund that currently supports carbon capture and storage and renewables. It would become an “NER400” fund, based on the sales of 400 million carbon allowances, and its scope extended from the energy sector to manufacturing industries. For skeptical Central and Eastern member states, there is a draft proposal to create a reserve of 1-2% of EU ETS carbon credits that would “address particularly high additional investment needs in low-income Member States (GDP per capita below 60% of the EU average)”. This fund would help these member states improve their energy efficiency and modernise their energy systems. Like the NER400, it would be managed by the European Investment Bank. There is a call for “full” transparency in relation to how these funds are spent, in reaction to reports that existing “modernisation” funds for the energy sector did not always reach their intended destination. Finally, European leaders are set to endorse “for the purposes of solidarity and growth”, a proposal for 10% of EU ETS allowances to be distributed among those countries whose GDP per capita is below 90% of the EU average. Together, this and the 1-2% fund appear to add up to the 12% solidarity mechanism that already exists in the EU ETS today (see Annex II of the 2009 EU ETS directive). For Poland at least this is not enough. 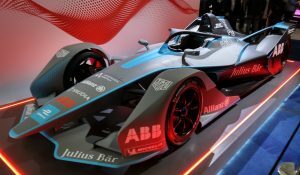 It wants to be able to carry on giving out carbon allowances to the power sector for free, in line with state aid rules, to aid plant modernisation. On the non-ETS side, the draft conclusions spell out that the 2020 methodology used to set national reduction targets for these sectors should be continued. This means efforts are distributed on a GDP per capita basis. All member states would contribute, but individual targets could range from 0% to -40%, relative to 2005. Member states with a GDP per capita above the EU average would see their targets “adjusted to reflect cost-effectiveness”. Overall, “the use of flexibility mechanisms will be significantly enhanced”, the draft conclusions state. Poland has asked for more flexibility between the ETS and non-ETS sectors in particular, but there is no mention of that. Transport, which a previous draft suggested member states could incorporate into the EU ETS, gets scant attention. The conclusions simply suggest that policymakers need to devise a “comprehensive and technology neutral approach” to promote efficiency, electricity and other renewables in transport after 2020. Agriculture, similarly, needs further analysis to understand how land can best be used to supply food and contribute to carbon mitigation and sequestration, the draft says. In its latest declaration, the Visegrad group (Poland, Czech Republic, Slovakia and Hungary) plus Bulgaria and Romania, did not explicitly object to the proposed 40% emission reduction target for Europe for 2030. (Although Poland still wants its ETS allowances to be distributed on the basis of a 1.74% cap reduction trajectory, which is incompatible with a 40% target.) What they did call “not desirable” is “the introduction of any legally binding renewable energy and energy efficiency targets at EU or national level”. But a 27% renewables target – binding at EU level – and a 30% energy efficiency target – indicative for the moment – are also part of the draft conclusions and very likely to be part of the final package. These are figures originally proposed by the European Commission. Now, with some countries wanting more and others less, they look more and more the likeliest compromise. Because while Poland, the coal industry and energy-intensive companies lobby against a 2030 package that sees Europe taking the lead on climate change, renewables and efficiency, others are doing exactly the opposite. For example, last month a group of former heads of government, finance ministers, and other leaders in the economics and business community, calling themselves The Global Commission on the Economy and Climate, issued a report, the New Climate Economy, which argued that countries of all income levels can combine climate action with economic growth. “The bottom line is at risk from the climate crisis. The unprecedented environmental challenges that we confront today are also economic problems. This irrefutable fact is filtering through to companies and investors.” – Paul Simpson, CEO at the Carbon Disclosure Project, which has created a global, corporate climate leadership index. And back in spring, 13 EU member states already backed a 40% greenhouse gas reduction and 27% renewables target. Some of those, such as Germany and Denmark actually want more – at least 30% renewables. Portugal and Sweden even want 40%. The latter is politically impossible, but 30% has life in it yet. Some might argue that the UK owes Germany one after the Commission approved its massive public subsidy scheme for Hinkley Point C. But Germany also has fresh firepower in the form of a new study it commissioned, released last week, which shows that targets for 40% greenhouse gas cuts, 30% renewables and 30% energy efficiency, combined with reform of the EU ETS, could cost exactly the same as only going for a 40% greenhouse gas target. The special significance of the work is that it was led by the same Greek professor, Pantelis Capros, and used the same modelling techniques, as the Commission’s original impact assessment of the 2030 package. The difference is that this time around, Professor Capros assumed lower financing rates (so-called “discount rates”) for renewables and efficiency in the trio of targets scenario, based on the investment security these targets provide. He also assumed that the EU ETS is reformed to stop these targets from dragging down the carbon price. The result: a trio of targets carries the same system cost as a single 40% greenhouse gas target and can sustain a carbon price of €28 a tonne. And the cherry on the cake? The trio is cheaper for the consumer because of the lower cost of capital and reduced demand. The EU ETS reform modelled in this report is based on the introduction of a “market stability reserve (MSR)” that would mandate officials to add or remove carbon allowances from the EU ETS in relation to the total number of allowances in circulation, according to pre-set rules. This would enable the system to automatically adjust to changing economic circumstances, as well as effects from other policies such as on efficiency or renewables. The model also assumes that carbon allowances that have been temporarily removed from the system are not allowed to re-enter it. The MSR is set to be the next big debate in EU climate and energy policy after the summit this week. Some of Europe’s largest companies, including Unilever, IKEA and chemical company DSM have called for EU leaders to set binding targets of “well beyond” 40% carbon cuts and “at least” 40% for renewables and efficiency. Efficiency was a latecomer to the 2030 debate, triggered by the crisis in Ukraine, but it has won widespread support, if only for a non-binding 30% target. Its supporters are still pushing for 40%, but this is unlikely. “The European Commission hasn’t provided the right evidence to go higher,” says one stakeholder. 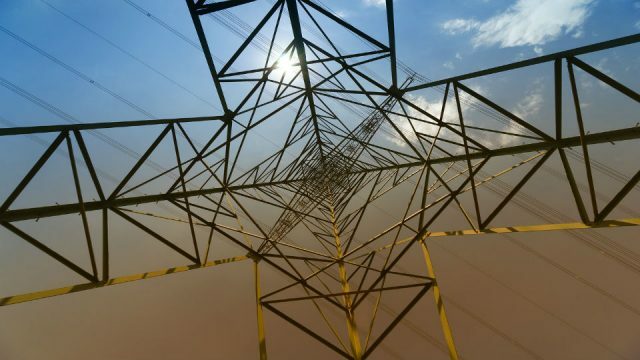 The UK has been the big stumbling block to any target at all on efficiency – “too expensive” – although Climate and Energy Minister Ed Davey suggested last week he was prepared to compromise. Some say binding or not is less important at this stage. It’s about a political signal. Unfortunately this is exactly what the UK fears: a political signal of more EU legislation to come. Energy Post understands the battle right now is not over binding or non-binding but over 30% or less. When EU leaders meet in Brussels this week, they will have to make decisions over where Europe is going and how it will get there. There are real concerns but there is real progress too, masked by last minute posturing. There will be targets and money for those struggling most to meet them. 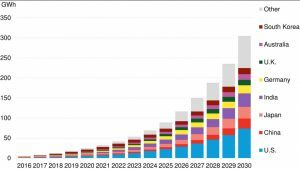 The biggest remaining fight is over how to distribute emission reductions in the non-ETS sector, Energy Post understands. The “GDP per capita” effort-sharing methodology in the draft conclusions translates into hard numbers for emission cuts. Leaders will have these before them when they meet – even if the public doesn’t – and they will negotiate. An agreement seems likely. European leaders will not work out all the details of a new climate and energy policy for 2030. The draft conclusions suggest a more regional approach to energy governance for example, but do not elaborate. The interconnection objective is an average target for Europe – it may not on its own get the infamous Spanish-French interconnector built. But what they have the chance to negotiate is a political framework with something in it for everyone that lets Europe show that with solidarity, climate action and economic growth can go hand in hand. The EU accounts for 10 % global greenhouse gas emissions, does it make any difference on the reductions they make?